Planning and Listed Building Consent applications by the owner Medinbrand were yesterday approved by City Councillors, clearing the way for this Grade II Listed Building to be re-opened as a three-screen cinema, along with the formation of five flats. 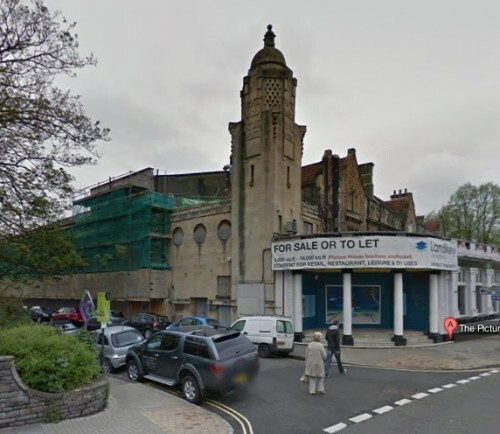 However, the rival Whiteladies Picture House Group, who have their own plans to convert the building to a community cinema and arts centre, are reported as saying they may now seek a judicial review as the approved plans “failed fully to secure planning requirements”. Council officers accepted that harm would be caused to the heritage of the building, with the loss of the historic ballroom, but that the return of the cinema to the building outweighed this loss. The building has been empty since 2001 and councillors were concerned that, should the current plans be rejected, it could remain empty for at least another 10 years, resulting in further deterioration..